Located 20 miles north of Charlotte, also in Mecklenburg County, Davidson is a picturesque small-town dedicated to a high quality of life from an active and engaged community. Founded in 1837 it is rich in history and charm and home to renowned Davidson College. Thoughtful town planning keeps Davidson pedestrian and bicycle friendly, with more than 14 miles of greenway connecting neighborhoods to allow residents alternate ways for getting around town. 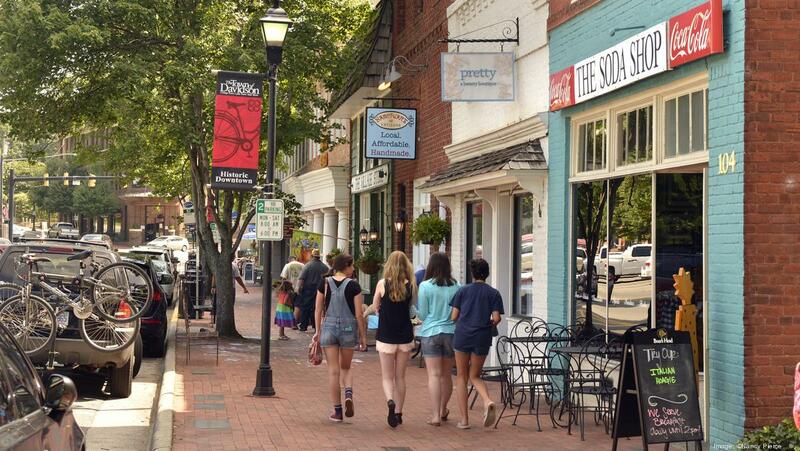 Historic downtown Davidson offers southern charm, with its unique shops and dining options nearly all locally owned. A community library set on The Green, shared open space, wide sidewalks, and the beautiful Davidson College Campus offers a central gathering spot for young and old. Packed with community events that encourage connectivity, the town’s open spaces host many events, such as concerts, holiday celebrations, farmers’ markets, outdoor yoga and festivals for people of all walks of life to enjoy together. The lakeside Davidson YMCA is also nearby for its members, plus children’s summer camps set by the lake! In addition to the draw of a college town, Davidson is also popular as the western shore of the beautiful Lake Norman, a destination for waterfront dining and water recreation. An I-77 causeway divides the water, creating the smaller Lake Davidson, offering a pristine body of water for those who wish to canoe or kayak. A variety of real estate opportunity beckons residents into lakeside condos, historic homes, new construction, planned communities or country club living at River Run with world class tennis and golf. Davidson enjoys many highly ranked public, private and charter school options. A lively lakeside, the historic downtown, and nearly 600 acres of open space create a supportive community-focused living experience like none other found here in Davidson!